If Food Networks 'Restaurant Stakeout' Could Stakeout All Companies, Real Time Feedback Wouldn't Be Needed! Food Networks new series “Restaurant Stakeout” uses high tech video and audio to show restaurant owners what is really happening in their restaurant. The problem is at most this show will touch a handful of businesses to see what their customers are experiencing. South Office LLC announces a real time customer feedback platform for all businesses using simple smartphone technology and it’s free. Yelp really is a disservice to businesses. The comments are frequently from social vigilantes that are not providing reliable information. Food Networks new series “Restaurant Stakeout” features cameras that allow them to see and hear everything that the employees and customers say and do. It’s a great concept, its candid camera for a restaurant owner. It’s entertaining to see how little the restaurant owners know. "Feedback Revolution QR provides businesses the ability to know what customers are thinking and saying immediately without all of the expensive surveillance equipment," said Martin Baird, Chief Feedback Officer of South Office, LLC. “In the most recent episode, “Party All The Time”, it shows customers waiting over 16 minutes to have their order taken. If they had our Feedback Revolution QR in place that customer could have shared their experience in real time and the owner would have gotten an immediate notification about the service problem,” Baird shared. Feedback Revolution QR is a free customer feedback platform that uses advanced technology to allow businesses to collect and analyze real time customer feedback. It’s ideal for restaurants, retailers and any businesses that really care about their customers and want to get a leg up on the competition. “The ironic part for me is on Yelp the review of the featured restaurant says, ‘Great service, great food, great drinks.’ that review doesn’t match what the TV show shared. Yelp really does businesses a disservice. The comments are frequently from social vigilantes that are not providing reliable information,” Baird continued. Businesses need to have a way to know what their customers are experiencing in real time. High tech surveillance is no more the answer than are comment cards. 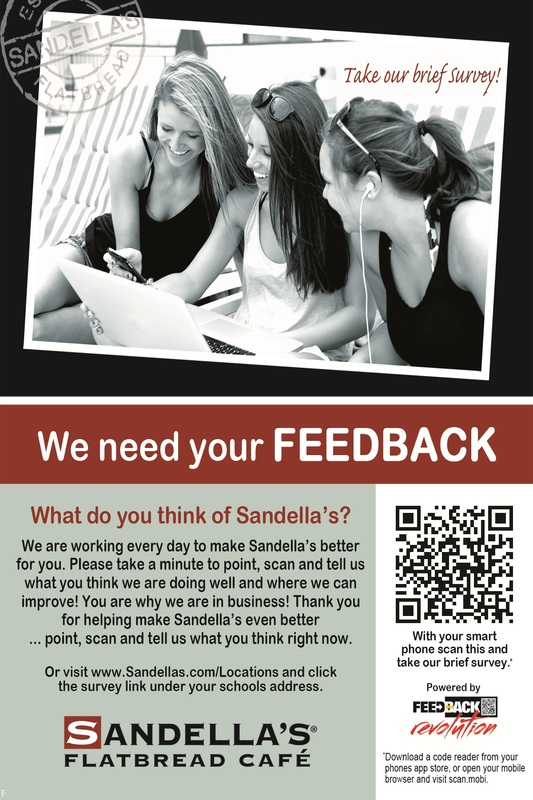 Feedback Revolution QR makes it as easy as See it… Scan it… Share.